Police investigate a fatal shooting on the Chinatown feeder ramp of the Dan Ryan Expressway. 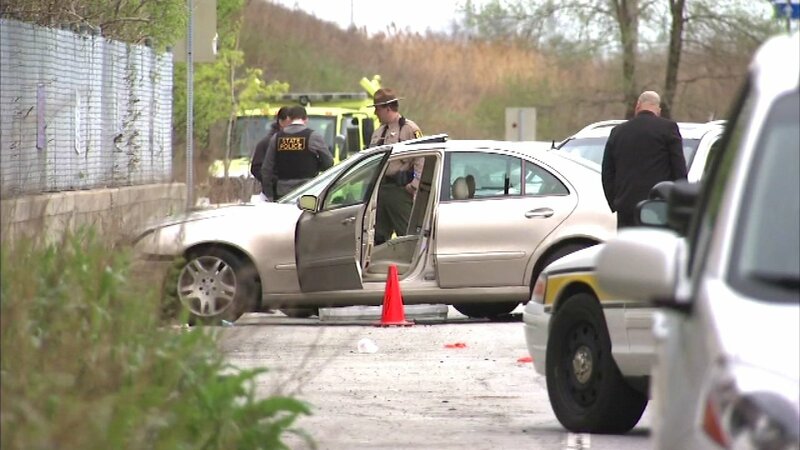 CHICAGO (WLS) -- A man has been charged in a fatal shooting on the Chinatown feeder ramp last Wednesday, Illinois State Police said. Jeremiah Holt, 20, is expected in court on Saturday. He is charged with first degree murder for the Wednesday shooting along the Chinatown feeder ramp of the Dan Ryan Expressway at Cermak Road. The victim was identified to the Cook County Medical Examiner's Office as Jeremy Scullark, 28, of Chicago. One other person was injured by the gunfire. Holt faces battery and robbery charges as well. He was arrested after a chase that ended with two officers being injured in a crash near 31st Street and Shields Avenue.